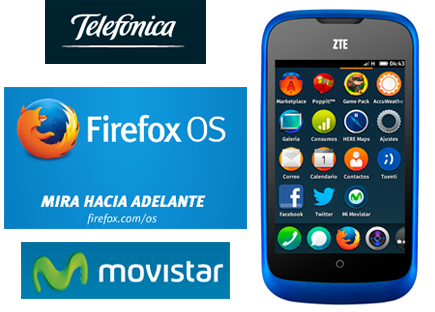 Telefónica introduced the first commercial, Firefox OS smartphone. The ZTE Open phone will be promoted in Spain at Movistar stores from 2 July priced at €69 (inc. VAT), including €30 of balance for prepaid customers and the option of zero interest financing for post pay customers. "We believe that smartphones need to be more open and that the web is the platform for making this possible. Consumers should not be locked to any one system but have the choice to consume the content they want and the flexibility to be able to take it with them when they change devices. This first open web device marks a significant milestone in making this possible. This is just the beginning as we plan to bring a wide range of Firefox OS devices to our customers," said Luis Miguel Gilpérez, CEO of Telefónica España. "The launch of Firefox OS marks an incredibly exciting time for the mobile industry. Firefox OS powers the first smartphones built entirely on Web technologies and will stimulate an inspiring new wave of innovation for the Web,” says Jay Sullivan, Mozilla Chief Operating Officer. Firefox OS supports standard capabilities such as calls, messaging, email, camera, et.c It also includes built-in social features with Facebook and Twitter, HERE Maps with offline capabilities and smart walking, driving and public transit directions and the Firefox Web browser. Firefox OS introduces a Firefox Marketplace for applications, as well as an adaptive app search that reconfigures the phone momentarily to meet the user's needs at the moment. The Firefox Marketplace supports HTML5 apps on mobile. Popular apps initially include AccuWeather, EA games like Poppit, Facebook, Nokia HERE Maps, SoundCloud, Terra, Time Out, TMZ and Twitter as well as personally tailored and local apps that will differ by region. Mozilla also confirmed that Deutsche Telekom will release its first Firefox OS soon -- the ALCATEL ONE TOUCH Fire. Nokia will buy Siemens' entire 50% stake in their joint venture, Nokia Siemens Networks, for EUR 1.7 billion. The deal is expected to close in Q3. NSN was established in 2007 as a joint venture combining Nokia's Networks Business Group and Siemens' carrier-related operations for fixed and mobile networks. Nokia plans to retain Rajeev Suri continuing as NSN's CEO, with Jesper Ovesen continuing as Executive Chairman of the Nokia Siemens Networks Board of Directors, which will adjust to the changing ownership structure. Nokia Siemens Networks' operational headquarters will remain in Espoo, Finland, and the company will continue to have a strong regional presence in Germany, including its major hub in Munich. "With its clear strategic focus and strong leadership team, Nokia Siemens Networks has structurally improved its operational and financial performance. Furthermore, Nokia Siemens Networks has established a clear leadership position in LTE, which provides an attractive growth opportunity. Nokia is pleased with these developments and looks forward to continue supporting these efforts to create more shareholder value for the Nokia group," stated Stephen Elop, President and CEO of Nokia. Siemens said the divestiture enables it to focus on core areas of energy management, industry and infrastructure as well as healthcare. Mellanox Technologies completed its previously announced acquisition of privately held IPtronics A/S, for $47.5 million in cash. Mellanox said the acquisition enhances its ability to deliver complete end-to-end optical interconnect solutions at 100G and beyond. IPtronics A/S was established end 2003 by former Managers, Innovators and Technical Staff from GIGA A/S. Ericsson agreed to acquire Red Bee Media, a media services company headquartered in the UK, for an undisclosed sum. Red Bee, which has about 1,240 employees, provides a range of media services; from media asset management to playout and digital video publishing, metadata services, multilingual access services and creative services to major broadcasters and broadband platforms. The company is the largest editorial metadata provider in Europe and delivers more than 100,000 hours of subtitling per year for leading broadcasters. Ericsson said the acquisition expands its role in the broadcast services market, which started in 2007 and expanded in 2012 with the acquisition of Technicolor's Broadcast Services Division. Ericsson provides technology solutions for content acquisition, exchange, distribution, delivery and the provisioning of multi-screen entertainment experiences. "We can create value for broadcasters by making digital content more accessible, enabling monetization of TV content more efficiently. Video traffic shows very strong uptake in the mobile networks and Ericsson can address the need of both broadcasters and telecom operators through our technology expertise and services capabilities," says Magnus Mandersson, Executive Vice President and Head of Business Unit Global Services, Ericsson. Altair Semiconductor, which develops high-performance, single-mode LTE chipsets, closed a $25 million round of funding. The company is based in Hod Hasharon, Israel. Altair introduced its first single-mode LTE chipset in 2009. The company was first to release a FDD/TDD chipset and the first with a commercial LTE chipset exceeding 100Mbps. The company said it has over 100 different product design wins to date, including tablets, Ultrabooks, portable hotspots, USB dongles and routers, designed by more than 30 global customers. The funding came from existing investors Bessemer, BRM, Giza, JVP and Pacific Technology. "As LTE networks reach coverage parity with 3G in key markets, carriers realize that removing 3G and adapting LTE-only is the most efficient way to significantly lower costs and increase mobile broadband attach rates," said Oded Melamed, Co-Founder and CEO of Altair. "Our month over month increase in chip shipments is a testament to the widespread move towards LTE-only across the industry and we intend to use the funds to support our customers as they ramp high volume production and deploy their products in the field." France Telecom Group officially adopted Orange as its corporate name and ticker symbol' "ORA". 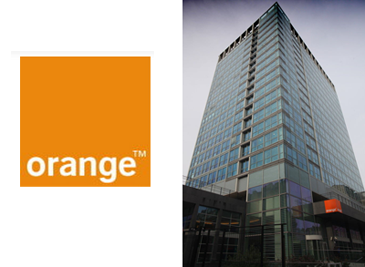 Orange was adopted as the single brand for all of the company's mobile, Internet and digital services in 2006. The fixed line services adopted the Orange brand in 2012. Orange is launching a corporate communications campaign that highlights connections between the present and the future, and between France Telecom and Orange. It will also emphasise broader connections: between generations, between people and the society they live in, and between technology and its uses. The company said its new campaign seeks to show that Orange is focused on the future. "Studies show that Orange is in a position to achieve the fresh start and sense of community that the Group thrives on. We want the Orange brand to convey a sense of modernity, energy, innovation, trust and focus on the future and on customers," stated Stéphane Richard, Chief Executive of Orange. 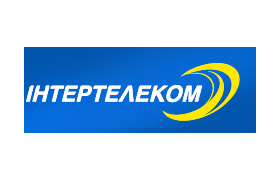 Intertelecom, a CDMA operator in Ukraine, has completed the deployment of a national IP/MPLS backbone. The network is based on Alcatel-Lucent's IP/MPLS-based mobile backhaul solution, including its 7750 Service Router (SR) and 7210 Service Aggregation Switch (SAS-M) along with the Alcatel-Lucent 5620 Service Aware Manager (SAM). Alcatel-Lucent also provided a range of other services, like high and low level network design, configuration and integration. Financial terms were not disclosed. Underwriters Laboratories has been designated as an AT&T preferred PTCRB Lab for the AT&T Mobile Broadband Accelerator (MBA) Labs Program, which is now mandatory for any integrator wishing to use the network. UL said it will offer full access to AT&T's technical requirements, preventing duplication of testing procedures and ensuring that devices meet specific performance requirements. Eliminating redundancies allows for technical acceptance to be achieved up to 33 per cent quicker, meaning products are available to consumers and enterprises at a more rapid pace. "UL has a wealth of experience in the cellular industry and we see many new and different applications being presented in greater numbers, particularly in the growing M2M area. The addition of the AT&T Mobile Broadband Accelerator (MBA) Labs Program allows us to add further value to UL's already well-established service, providing our customers with a faster route to market," stated Robert Graham, LTE Lab Manager for UL.